Lighting. – Life Is Such A Sweet Insanity. The City of Chicago recently left some information hanging off the knob on the door into the lobby of our building. The city was excited to let us know that our streetlights were replaced by energy-efficient, self-maintaining LED “smart lights”. Because of this conversion, we would be in a 21st century, cost-efficient environment at night. We’d also be safer because of better illumination. This is a portion of a street featuring the new “smart lights”. The new LED bulbs are fitted into existing fixtures and are definitely brighter. I’m sure they’re cost efficient and I’m thinking they have some wifi gadgetry built in so they’ll notify a central hub as to when they think they’re having some sort of problem. The thing is, they’re so harshly bright. On most mornings I go for a walk through the neighborhood. Since I start out at 6:00 a.m., at this time of year that means walking in the dark. Because I’m a mammal and it’s winter, my eyes take a few moments to adjust to the outside light. The new LED lights are very startling. I’m finding myself trying to walk in the shadows along the blocks that have the new lights installed and modifying my traditional route so I can stay on streets that have the older, sodium vapor lights. I’m old enough to remember when municipalities switched from the old mercury vapor lights that gave off a greenish tint. It was a weird color and the contents of the bulb probably would have killed me, but the lighting wasn’t harsh, it was just weird. 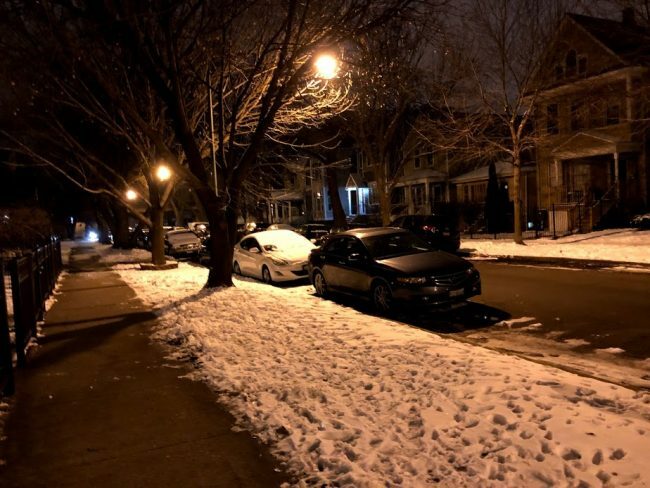 In the decades of the sodium vapor lights, with their pink or orangeish hue, my eyes never really had trouble adjusting and the lights were actually helpful in snowstorms. 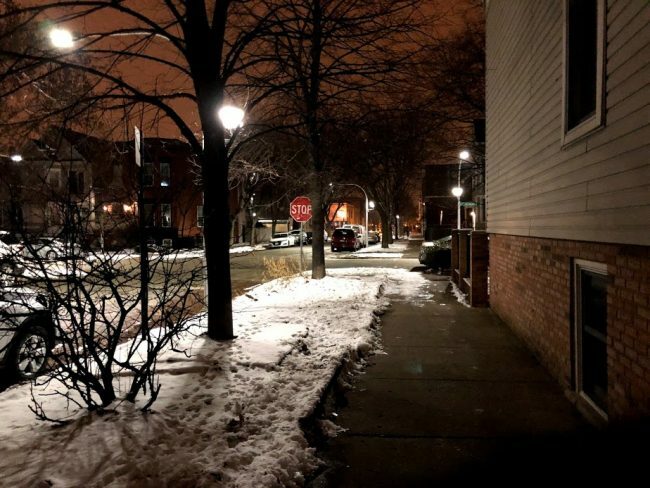 I’m all for energy efficiency and doing everything we can to make the planet last as long as possible while increasing safety in our neighborhoods, but with the technology to make LED lamps give off just about any color possible, shouldn’t we be looking to make these new smart lamps give off light resembling something like daylight? This bluish, harsh, bright lighting has to be intrusive for the people for the neighborhoods it’s sharing space with. Geek, This Ain't No CNN.